The ICIT’s value proposition for the business model is to provide emerging Islamic leaders with resources and tools that enable them to become just leaders by implementing good strategy. 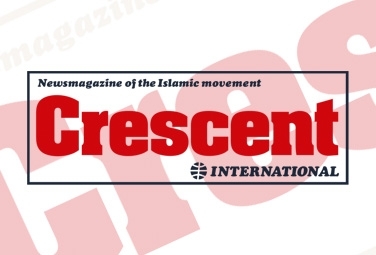 In a previous issue of Crescent International (CI, April 2014), the ICIT web library was introduced as a platform to enable the Institute of Contemporary Islamic Thought (ICIT) to reach a wider market for its leadership development services. This was specifically aimed at making the tafsir — The Ascendant Qur’an — available in electronic format, and more generally at allowing access to its other publications and multimedia materials, also in electronic versions. Other complementary materials not necessarily produced by ICIT directly, but endorsed by it would also be introduced. This ICIT web library and the associated business model, emerging as a product of months of deliberations about what target market(s) would most benefit from the tafsir, was proposed as a possible solution to the unique challenges confronted by ICIT in making people aware of its services, not the least of which is how to identify, catalogue, and then cultivate and nurture the emerging or developing Islamic leader, the chief target market identified by a focus group at ICIT. The tafsir is anticipated to provide guidance for the nurturing and cultivation of new Islamic leaders, and the web library is expected to be the means by which outreach to and communication with new leaders can take place, ultimately leading to identification of, cataloging of, and even shaping the activities these leaders are engaged in. 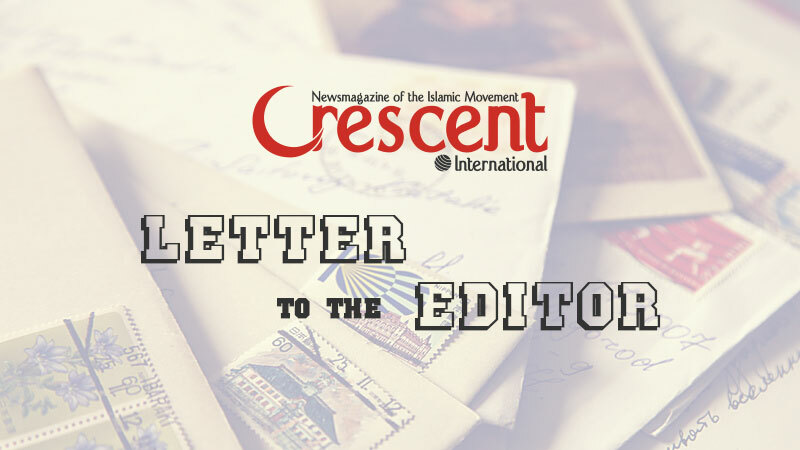 In the last column on this subject, we discussed why and how we settled on the emerging Islamic leader as the appropriate market to be targeted initially by the tafsir. By no stretch of the imagination should anyone interpret this approach to mean that this tafsir is only meant for the benefit of Islamic leaders in the making, and not anyone else. Because of the limitation of financial and human resources, which preclude ICIT from engaging in a more traditional marketing campaign for the tafsir, ICIT had to be more creative, and hence tried to develop an approach that addresses the obstacles it has to uniquely face. Hence it chose the emerging Islamic leader, given his capacity to shape the behavior of others in his domain of influence, as the marketing intermediary, a stepping stone of sorts, or the means by which ICIT could reach the larger audience of Muslims (and non-Muslims), which it has intended to make an impression upon all along. The unique approach to solve our own problems, with our own human creativity — the most vital resource we possess — is what we mean by strategy. To reiterate, ICIT’s value proposition for the business model at hand is to provide emerging Islamic leaders with resources and tools that enable them to become just leaders who implement good strategy. And what better way to understand good strategy than to conceive of one, implement it, and learn from the struggle to make it work. A central theme in the tafsir concerns how man’s abuse of temporal power estranges him from Allah’s (swt) guiding hand and His mercy. And to tie the ideas developed in the last column with the present, there is a need to explore the connection between power, leadership, and strategy. Hence the rest of this column will be devoted to studying this relationship, first in a notional sense, and then more specifically as it concerns the development of a mechanism to acquaint a larger audience with the tafsir. A slogan making its rounds among the Muslims for several decades, in an effort to get them out of their funk, implores, “Act! Don’t react!” But what does it mean to act? All of us understand quite clearly, largely because this is second nature to us after being cowed by centuries of oppression, that a reaction is our response to an initiative taken by someone else, usually an enemy. Nearly all of what our enemies have characterized as terrorism is a reaction. Many of us feel right at home in the reactionary domain; in fact, this domain is our comfort zone. We thrive in it, we rely on it, and when pushed out of it, we panic and act in all kinds of desperate ways. And in this regard, we share an overriding characteristic with those others who reside in this domain: we act on impulse (instinct), usually for the purpose of self-preservation, rather than on the basis of a structured or thoughtout plan of action to help us achieve what we need. More bluntly, we have acquired a level of comfort, a centuries-old inertia, with not thinking through our problems, using the Qur’an and Sunnah to either corroborate or correct our thinking; or we have acquired a level of comfort in using someone else’s thinking and philosophical approach to solve our problems. And the latter is just the kind of prescription the taghuti doctor ordered for the simultaneous penetration of his system into every corner of the world and the disappearance therefrom of the just order given by Allah (swt) to His Prophets (pbuh) in the form of Islam. When we become automatons for Islam, we unwittingly become the foot soldiers for the expansion of taghut in our territories and the normalization of it in our consciences. The point being made here is that leaders, especially Islamic leaders, can ill afford to reside in the domain of reaction; in fact, they cannot even be called leaders if they exist there. As mentioned before, direction-setting is one of the three important tasks that effective leaders do. Leaders generally are required to deal with large groups of people, even entire societies. On the way to setting a new directional course, a leader must create a sense of urgency, identify the needs of important constituencies or stakeholders, and paint a vision of what sustained effort dedicated at a certain cause will look like. However, going from point A to point B — from where you are now to where you have to get to — requires the development and then broad communication of a strategy. 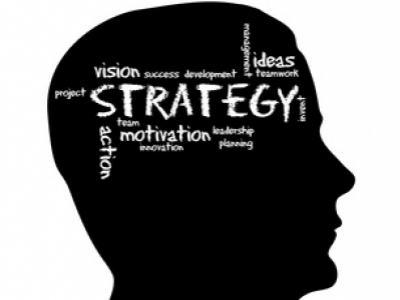 Without strategy, a vision is nothing more than a simple dream. This means that the strategic exercise of power is more valuable than the reactionary exercise of power: whereas reaction relies on someone else’s vision and directional course, and then subsumes all subsequent behavior to a foreign direction, leading ultimately to the achievement of “their” goals, a strategic posture relies on the vision and thinking of stakeholders whose problems have not been addressed by an alien solution set. What gets lost in this discussion is the fact that strategy development is a deliberative activity, requiring the participation and “buy-in” of the constituencies or stakeholders who will be expected to execute the important work of overcoming the inertia that prevents movement from here to there. In Islamic terms, we understand this to be a shura, and with the continued maturity of the constituencies involved, we understand this to be an institutional shura that accompanies the strategic evolution of the larger community in a matter-of-fact sort of way. Shura gives our strategic initiatives an advantage because primarily we are not comfortable with just any strategy; in fact, we want the best strategy to rise up as a product of our sincere discussions to solve a problem. Second, we understand leadership to be a social activity. There is no leadership in a vacuum. Allah’s Prophets (a) were chosen because they were singularly designated to lead; an imam leads his people. Leaders are required on the one hand to manage the relationships in their flock, and on the other between the commitments people make and the responsibilities they discharge, so that together they can achieve a unified goal. The stakeholders who are most affected by the challenge at hand must take ownership of the problem; in addition they must also assume ownership of the solution they jointly come up with as well as the process to come up with the solution and process to execute it. Leadership is the glue that holds all of this together, seeing it through to completion. But how is this discussion relevant to power? For leaders, the key to the acquisition of political power and its subsequent exercise is the implementation of strategy. There are all kinds of power: economic power, commercial power, military power, emotional power, constitutional power, etc. Economic power, for instance, is the ability to leverage markets, products, services, labor, and trade for the purpose of dominating a rival; military power is the ability to use armaments and armies to defeat an opponent and occupy his territories. However, in relation to all of these, political power is more fundamental. Political power is the ability to leverage the force of ideas to excite the ardor for achievement inside the human being, to make him feel good about having contributed to something valuable, lasting, and greater than himself. Unlike other forms of power, political power requires no material fuel for activation; all it requires is the discernment of the human mind between what is better and what is not. The tafsir talks about the power equation for Muslims and the Islamic society: it is legitimacy that confers authority that leads to (political) power. Legitimacy as a calling card of Islamic leaders is not simply them espousing what is right; rather it is them showing how what is right works for those who are distressed, dispossessed, and disjointed. Showing people how right works in their favor is about making a key set of decisions that help the oppressed shape their decisions in a way that leads to their liberation. Liberation activities require the strategic exercise of political power, not the reactionary exercise of political power. Hence, to reiterate, the legitimate acquisition of power depends on the implementation of strategic, not reactive, initiatives. The magnitude of the power acquired depends on the quality of the strategy. With this developmental background, we are now ready to engage certain aspects of the Sunnah. When Allah’s Prophet (pbuh) was forced to flee to Madinah, the immediate temporal and everlasting goals of his mission did not change. His immediate goal was still to liberate Makkah (and thereby to liberate the world’s oppressed), and the transcendant goal of his mission was to leave behind a demonstrable set of principles that could be employed by any oppressed people at any time and any place to liberate themselves from the vice-grip of tyranny and injustice. The strategy he employed to accomplish his mission was not borrowed or appropriated from any other power culture of the day. It was groundbreaking and pacesetting because he uniquely tailored it to the qualities, characteristics, and needs of the constituencies he was addressing at the time, as well as all other constituencies who would share those characteristics and circumstances at any point in the future. This does not mean that the strategy he employed is transcendental, but that his methodology in producing one is. The Prophet’s (pbuh) strategy was to secure the new Islamic base of operations — Madinah — by binding the local power constituencies in and around Madinah into a contract that simultaneously laid out both their rights and responsibilities (Mithaq al-Madinah). What bound these power blocs (tribes) to the contract was not their signatures, but the well-known characteristic of theirs, known well beyond the Peninsula and even into history, that they were honor-bound to discharge their oaths, even to the death. The Prophet (pbuh) used this quality of theirs to the advantage and accomplishment of the Islamic mission. Hence, while resorting to armed resistance in Makkah was problematic, making the decision to go to war in Badr and Uhud to defend the Islamic State in Madinah was not viewed by anyone as a challenge because the residents of Madinah had already committed their lives to secure the city. Expelling the Jewish power constituents from Madinah was a fait accompli; the decision made itself. Everyone knew they violated the agreement — the Prophet (pbuh) knew it, the Muslims with him knew it, and the treasonous Yahudis themselves knew it. The escalating punishment for their treachery was also not in question; they expected whatever they received as retribution. This is the value of being strategic; this is the value of making a key set of decisions that shapes all of your other (future) decisions. Of course, we could go on and on about the various details of how the Prophet (pbuh) executed the Islamic mission and how the circumstantial revelation of the Qur’an elevated the early Muslims from the jahiliyah they were in to the pinnacle of humanity and history; but with this short anecdote out of the Sunnah, the point is made. Fast forwarding to today, we can see that the foreign policy of the Islamic Republic of Iran is strategic (its overwhelming objective is the liberation of the Holy Land, and all other foreign policy decisions are subsumed to this objective); however, because the majority of Muslims do not think strategically, or are not interested in it, they have a problem with Islamic Iran’s relationship with the unelected government of Bashar al-Asad in Syria. Because we Muslims tend to feel at home reacting all the time, we let someone else set up and disseminate the meanings of justice on the one hand, and duplicity on the other. We fail to recognize the complexity of the situation, tending to devolve in a reductionist fashion the circumstances surrounding an imperialism-dominated world to a set of binaries (black and white scenarios), while at the same time, adding layers of confusion in our own minds about what the Qur’an has been very clear of all along: who the real enemy is. Islamic Iran has a strategic relationship with Syria for the liberation of Palestine, not a “Shi‘i” relationship with that government — as many “experts” and “analysts” in the “Sunni” world, especially those on the payroll of American imperialism, Zionism, and Saudi Wahhabism, have tirelessly promoted. It is on the basis of a country’s or organization’s strategic posture toward Zionist Israel and imperialist America that Islamic Iran chooses to set up a relationship with them, not whether they are majority Sunnis or Shi‘is. Credit Imam Khomeini and the Islamic Revolution with getting the majority of Shi‘is on the same page with regard to the liberation of the Holy Land — as a moral issue, and as a primary Islamic issue. This is progress; for just four decades ago, there was no moral and political consensus among Shi‘is for the simultaneous resistance to Israel and the ultimate freedom of the Palestinians. Libya (under Muammar Qaddafi) initiated a strategic monetary policy for all of Africa. Other than the motivation to abort the Arab Spring, the main reason Western, Zionist, and Wahhabi imperialism murdered Qaddafi was because his strategic policy posed an immediate and potentially escalating threat, if left unchecked, to dollar hegemony and dominance. The case of the Ikhwan’s initial failure (resistance is on-going) in Egypt is more complex. Dealing with the enemy is a tactical issue, not a strategic one. Islamic enemies are ubiquitous; they will always be around to challenge the Muslims regardless of whether we have temporal power to manage our own destiny, or somebody else has the power to dictate the direction of our destiny. Hence dealing with our enemies is a matter of tactics (less important decisions), not strategy (more important decisions). Whatever our enemies are doing does not rise to the level of importance to override, sideline, delay, or minimize Allah’s (swt) command and counsel — the basis of our more important decisions (strategy). Our problem occurs when we elevate tactical considerations (our enemies’ plans) to the level of strategy. Tactics, by their very nature, depend on strategy, whether our own or someone else’s. When tactics become our strategy — that is, we try to “outsmart” our enemy, we try to “work with” our enemy, or we simply do not recognize we have an enemy — we cede the key decisions to someone else, usually our enemies, and then we end up crying at the results. Tactics require followers; strategy needs leaders. Tacticians work for leaders, even though leaders may accept the counsel of tacticians. Key decisions shape the view of tacticians, and hence it is the leaders who wield power, not the tacticians. The unfortunate fact of the matter is that our so-called leaders, whether at a local, regional, or international level, are just glorified tacticians because they react to decisions made in Tel Aviv, Washington, London, Berlin, Paris, Beijing, and Moscow. …hence, he who rejects the excessive and outrageous powers [of evil governments] and commits to [the authority of] Allah has indeed taken hold of a support most unfailing, which shall never give way, for Allah is all-hearing, all-knowing (2:256). As for those who take the deniers of the truth for their allies in preference to the committed Muslims, do they hope to be honored by them when, behold, all honor belongs to Allah [alone]? And, indeed, He has enjoined upon you in this divine Writ that whenever you hear people deny the truth of Allah’s manifestations [in human affairs] and mock at these [manifestations], you shall avoid their company until they begin to talk of other things — or else, verily, you will become like them. Behold, together with those who deny the truth, Allah will gather in Hell those of dual [or multiple] allegiance [munafiqs] (4:139–140). …follow [O Prophet] what has been revealed to you by your Sustainer — save whom there is no deity/authority — and turn your back upon all who [try to] rival His authority and dominion (6:106). This relationship between leadership, strategy, and power applies to all organizations, movements, and countries that find themselves on a particular mission. The size of the constituencies has nothing to do with what is achievable, and the smaller an organization is does not mean that it does not have to be cognizant of what makes missions achievable and goals realizable. And so this brings us to the problem that ICIT is trying to solve. ICIT has taken a leading position in trying to produce materials that help Muslims understand the Qur’an so that they can take the leading role in society, which Allah (swt) and His Prophet (pbuh) intended for them. ICIT’s materials, the tafsir being the key element of its offerings, are intended to develop leaders by acquainting them with the responsibilities that come with having power, and then showing them how to exercise it in a just and transparent manner. In order to demonstrate to the emerging leader how to legitimately acquire power and then legitimately hang on to it, ICIT is proposing to acquire its own power through the implementation of an effective strategy that works through the challenges and obstacles ICIT uniquely is confronting. And thus the strategy ICIT employs must be uniquely tailored to overcome these challenges. The paucity of resources (material and human), either in the hands of ICIT or its potential target markets, is something real. The challenge issued by existing Muslim orthodoxies in screening (censoring) the material their flocks have access to is also something very real. Our strategy ought to be configured to deal with both of these impediments. In this regard, we feel we have developed an effective approach. Firstly, insofar as economic hardship is concerned, the $10 annual fee makes all of ICIT’s materials available in electronic format to anyone who has the ability to use computer or mobile web content devices. The desire to use marketing intermediaries — that is, emerging leaders — to put some of the new direction into motion and thereby move the tafsir to those they influence, also addresses the lack of traditional material resources. Secondly, easy availability on the internet removes some of the traditional physical barriers to the access of new publications; however the self-imposed mental barriers are a tougher nut to crack and in the coming months, we expect to communicate an approach as to how we will hurdle this problem. In light of the arguments made above, we feel our approach to make the tafsir available to a larger audience is strategic, and because we have already taken a leadership role in developing “progressive” tafsir and related materials, we feel we are now in position to acquire the power we need to move our message to the receptive consciences of the constituencies who will value these offerings.